With a new album of flickering screens, humming oscillators and songs from distant radios in the offing, Getintothis’ Mike Stanton gains entry into the mysterious world of Polypores. Polypores is Stephen James Buckley. He is part vintage sound archivist, part cold-war soundscaper and operates from a small home studio in Preston, weaving sounds and textures to create electronic, lo-fi sci-fi soundtracks. There is a pastoral spookiness to his music evoking 70s kids TV shows, vintage public information films, the BBC Radiophonic Workshop and library music. Polypores‘ sound is one of warped tape saturation and machine hum. There are ambient echoes of transformer coils and the static charge of a post-storm downpour. Polypores‘ first full-length album, The Investigation, was released on Bandcamp in February 2015. It has a retro science fiction vibe throughout. Like your favourite mad scientist episode of The Avengers, there are tales of fiendish experiments and the warping of nature. Spectral synth tones haunt each track and sound as if filtered through demonic EVP sessions and flickering monochrome. This was followed by the Edgewoods EP. Shifting the focus to more urban settings and industrialised ruinscapes. Buckley expertly layers disjointed loops, samples and detuned analogue synthesisers to create a collage of nostalgia, futurism and Ballardian dystopia. Slowed-down tape recordings of birdsong sit alongside drifting analogue synths, distorted drum machines and distant choirs. There’s an element of disquieting nostalgia amongst the tape hiss and witch-drums. The album marks a change in approach from previous releases; the arrangements are more stripped down, less dependent on overdubs and minute details. It is at The Well Space in Liverpool that we have the opportunity to see Polypores play his first live gig. Sharing the same bill as local artists Faded Gold and Afternaut, the evening is Emotion Wave, a celebration of Liverpool’s burgeoning electronica scene. It is curated by Neil Grant, producer, remixer and electronica artist in his own right, recording as Lo Five. With these evenings he brings together some of the most exciting electronic musicians in the North West region. The Well Space is the perfect venue for this collection of performers. It is a space used for art, creativity and inspiration. There’s a modest but enthusiastic crowd who watch Polypores‘ 30 minute set, as he previews his latest album. The music perfectly reflects the back projections of abstract shapes and flickering colours, as he builds layer upon layer of sound. The melodies are strong and paired down, an altogether leaner sound. This is how the new album was realised, a more organic feel, largely informed by work done in preparation for live sets. 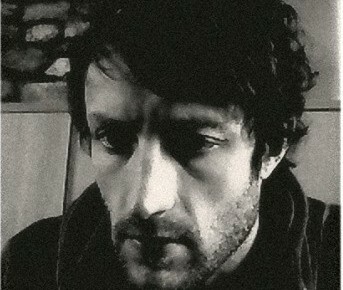 Buckley utilises a slew of electronic equipment, warping and bending sounds. Distortion pedals, mini synths, sound mixers, samplers and drum machines create space and depth. Samples ghost in and out of the spectral realm as Buckley weaves folk-tinged musical phantasms. It is a bright start to the evening and the torch is picked up and carried by Faded Gold and Afternaut. But it is the arrival of Polypores as an assured and skilled soundscaper that is the focus and highlight of the evening.